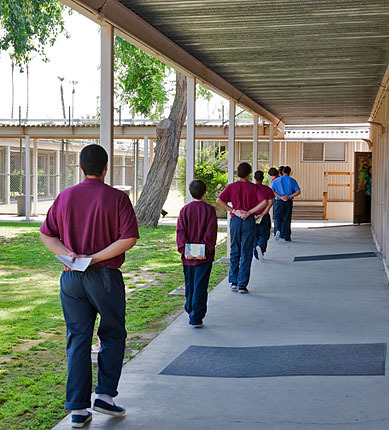 The Furlough Treatment and Rehabilitation Program is a short term in-custody program that is geared exclusively towards youth who are on furlough with the Aftercare component of Probation. The youth is committed to the program for a stay of anywhere from 1-30 days in custody. The emphasis of the program is on holding the youth accountable for their delinquent behavior and to assist them in their rehabilitation. As part of their treatment, the youth examine attitudes and assumptions as it pertains to their current circumstances. The use of journaling, self reflection, family interaction, and self assessment are just some of the things the youth do to not only prevent a return to criminal activity but to assist them with their family, social and educational components of their lives. The youth also participate in activities including individual therapeutic sessions, relapse prevention, stress management, life and social skills, Alcoholic and Narcotic Anonymous classes, and frequent education components presented by volunteers and mentors. In addition, the youth participate in daily recreation, social and educational activities. Once released from custody, the youth return to the Aftercare program where they are supervised and as a continuum of care they are offered on site, out of custody, mental health services. The continual ongoing services are in the best interest of the youth in an effort to prevent a return to their delinquent ways and assist them in becoming model citizens of the community.